Subaru Corp defies logic when SUVs and Crossovers are the hot sellers in America. The Subaru brand is not your typical automaker, and their most popular vehicle is a wagon. Subaru of America reports they sold their two millionth Outback, a Crystal White Pearl 2018 Subaru Outback in California. The two-millionth Outback was sold at Subaru Pacific in Hawthorne, CA to new owner Andrew Simpson. He was surprised by the dealership owner and Tim Tagye of Subaru of America. Simpson was presented with several gifts and a charitable donation to Grades of Green on his behalf. The Subaru Outback is built in America at their Lafayette, Indiana plant for Americans where they are buying the wagon at an astounding clip. 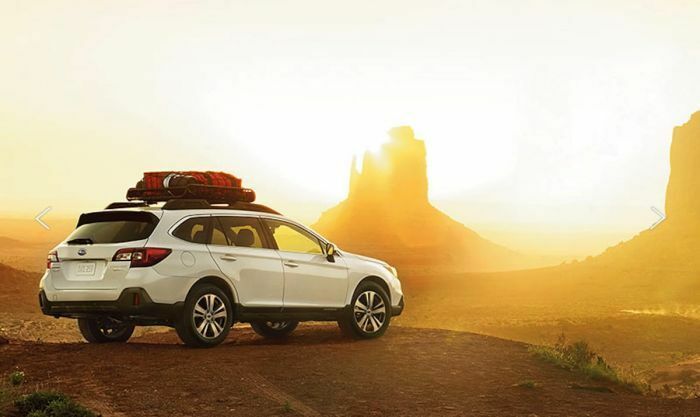 Outback is the most popular vehicle in the Subaru stable and has been the brand’s top-selling vehicle in 2016, 2017, and leads the lineup in the first quarter of 2018. It’s rare for an automaker to have a wagon as its top-seller at a time when SUVs are the hot segment in the U.S. market. Subaru has done a great job of marketing the Outback, and now call it a Crossover SUV, not a wagon in their marketing. Subaru designed the Outback to be a family hauler with an attitude and it explains why Americans can’t get enough of the SUV-alternative wagon. The fifth-generation 2018 Outback has been around for more than 20 years, but it’s a different animal than your typical crossover/SUV. It rides 8.7-inches off the ground, comes standard with all-wheel-drive, has a roomy cabin, and has off-road features like X-Mode, Hill Descent Control, and Hill Holder. The Outback wagon is a master of outdoors-oriented activities and you'll find owners taking it into the backcountry for camping, hiking, mountain biking and climbing trips. Many consumers are using the Outback to haul a small utility trailer or camper for recreation. One big advantage Outback has over Forester is the wagon has a max tow rating of 2,700 lb. vs. just 1,500 lb. max towing capacity for Forester. The 2018 Subaru Outback will likely stay the leader the Subaru lineup because it’s not your typical family crossover/SUV. Subaru has created a niche market of all-wheel-drive vehicles and the Outback sits at the top. Two million Outback owners can’t be wrong. I may lean toward the Outback when I change vehicles (if) a performance engine remains. That's my concern, I'm just not quite sure I want to make the leap from a Forester to Ascent. The Outback resides in the middle and may be my best option to stay in the Subaru family. I can only hope they don't ditch a performance option for Outback when it gets the new platform. The simple solution is use the new turbo they use in the Ascent and ditch the 6 cylinder, which they probably will do.